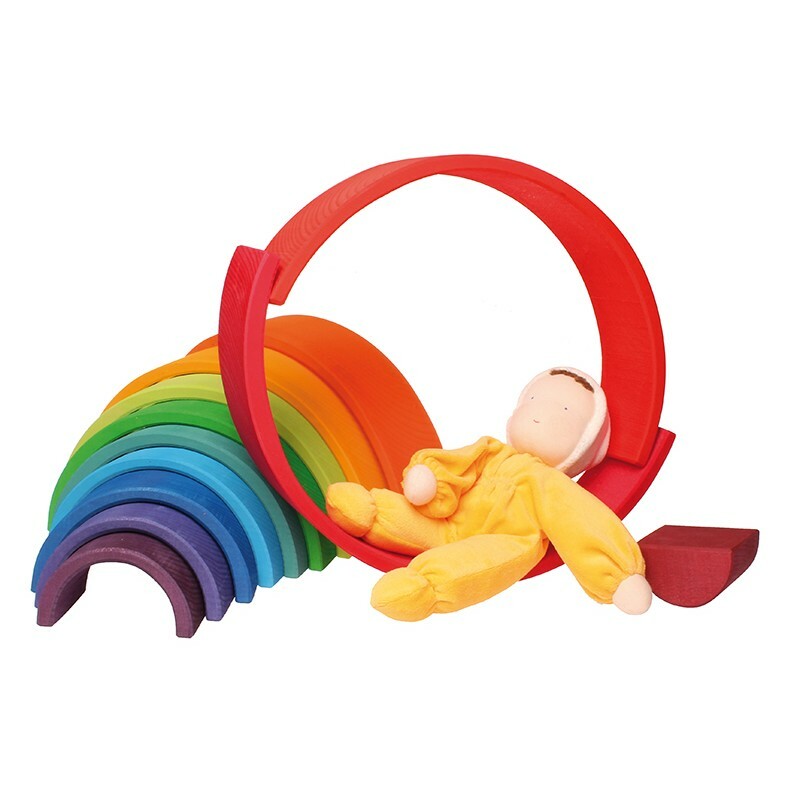 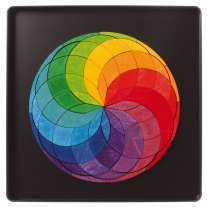 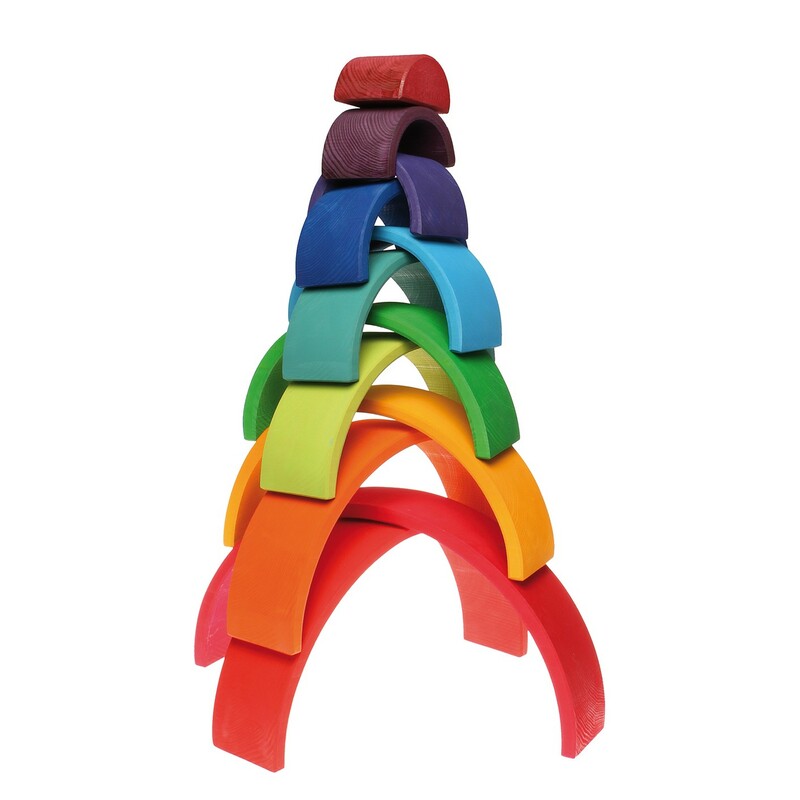 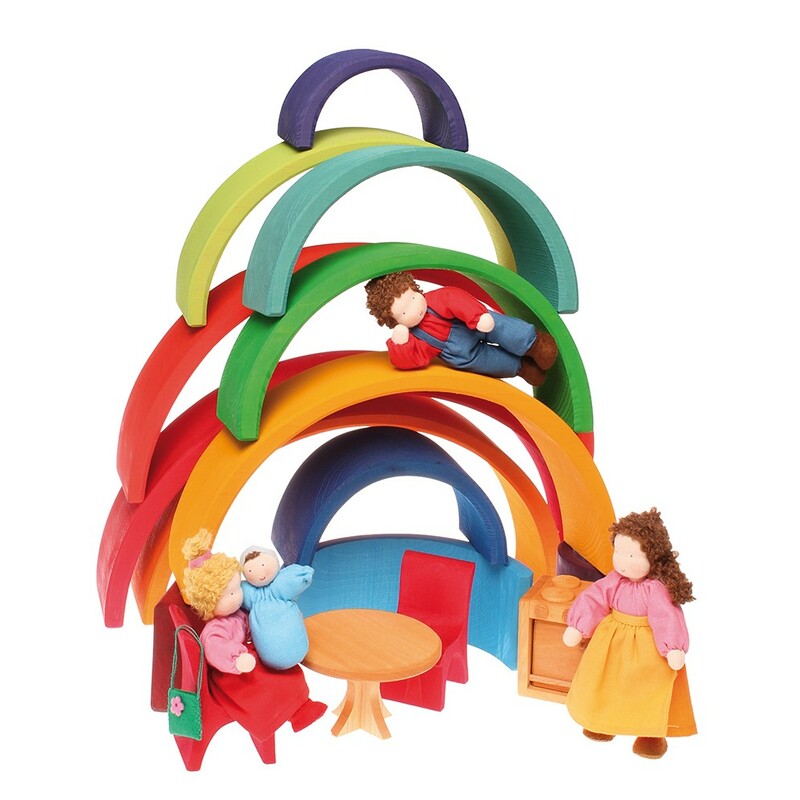 This enormous wooden rainbow might just be the most amazing thing in your playroom. 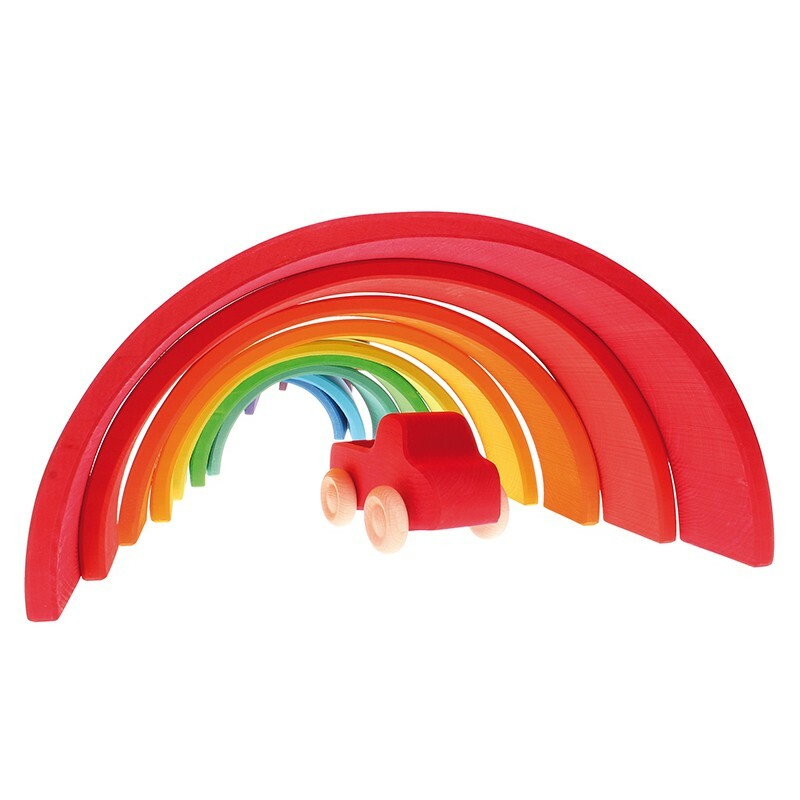 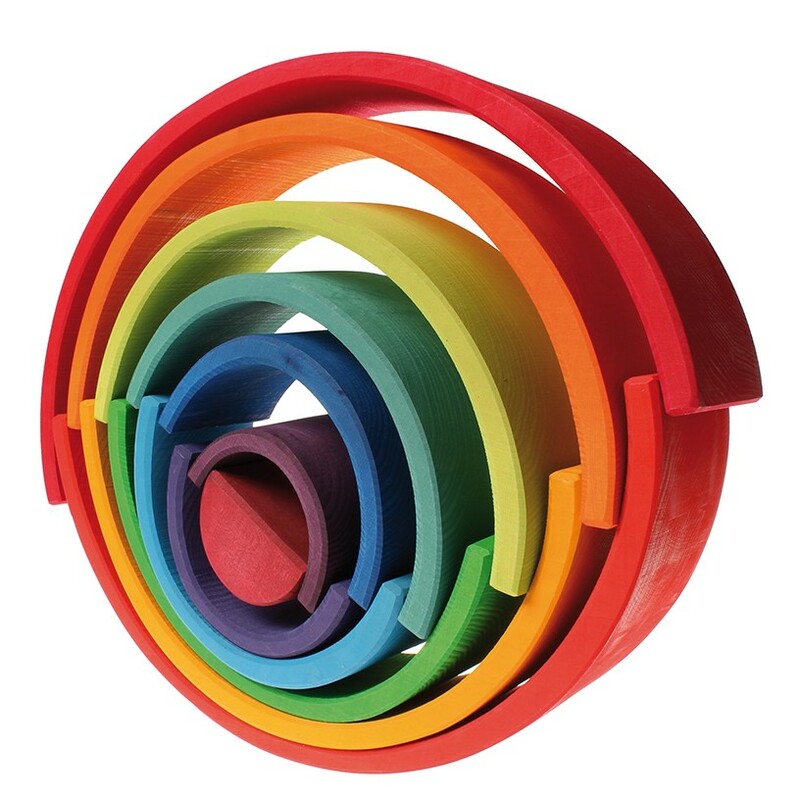 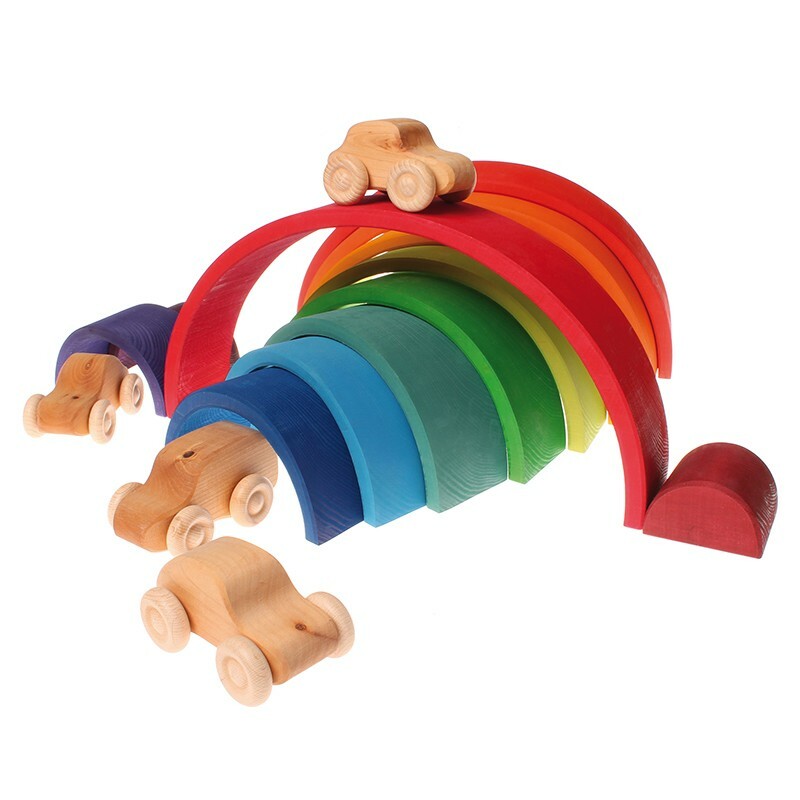 The possibilities for creative play are endless with this gorgeous wooden rainbow and the 12 blocks can be used in a myriad of ways - as tunnels and bridges for cars, cots for baby dolls, animal shelters or farm fences. 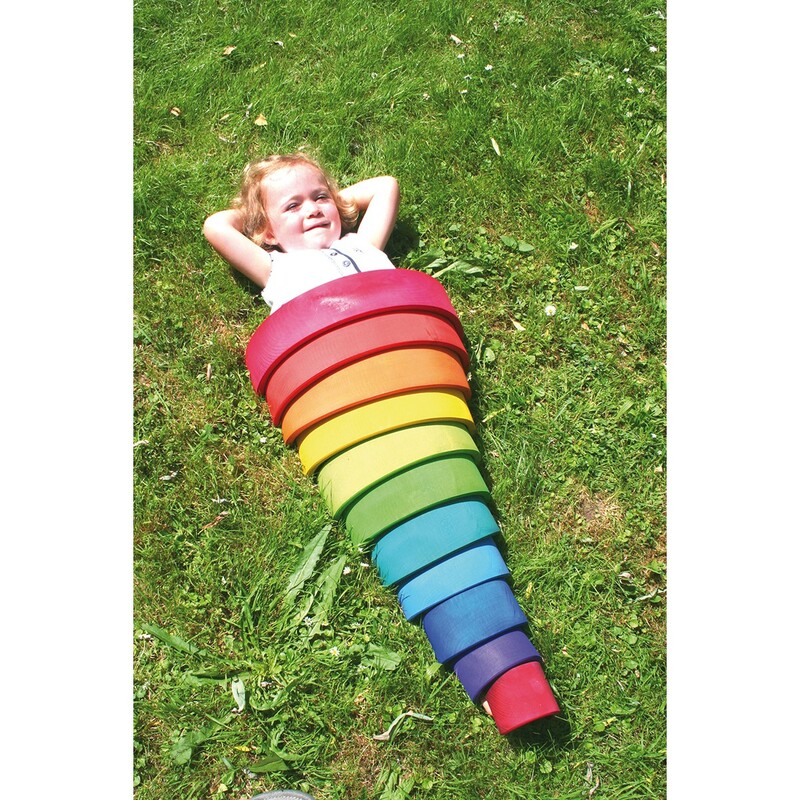 They are even big enough for small children to crawl through and can be spread out to make mermaid tails for their young owners, and balanced one on top of another to make elaborate sculptures. 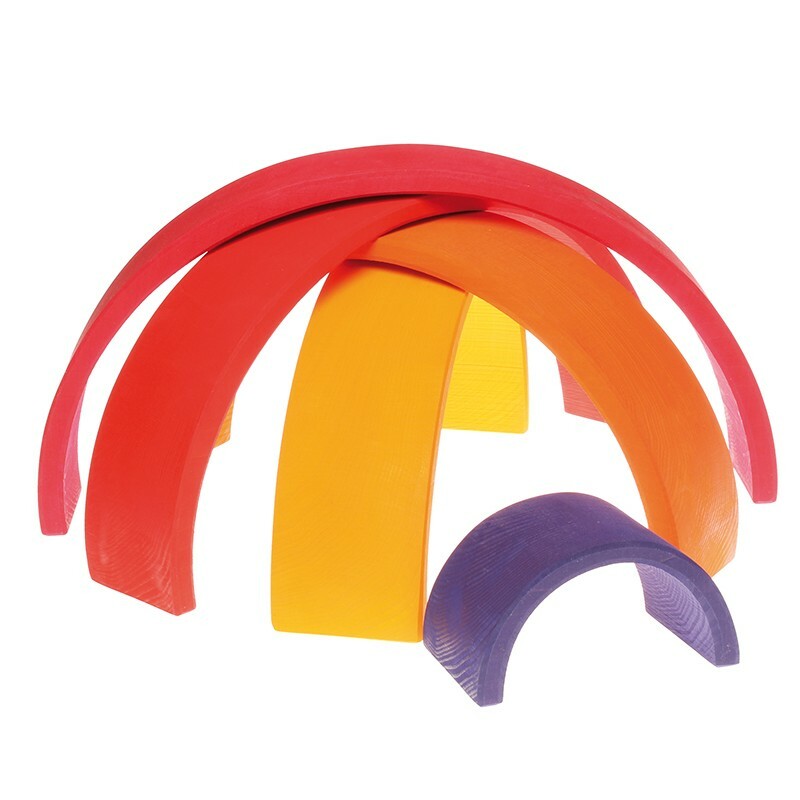 Steiner educators, nurseries and playgroups will love how this natural toy can be used throughout the day in numerous ways. 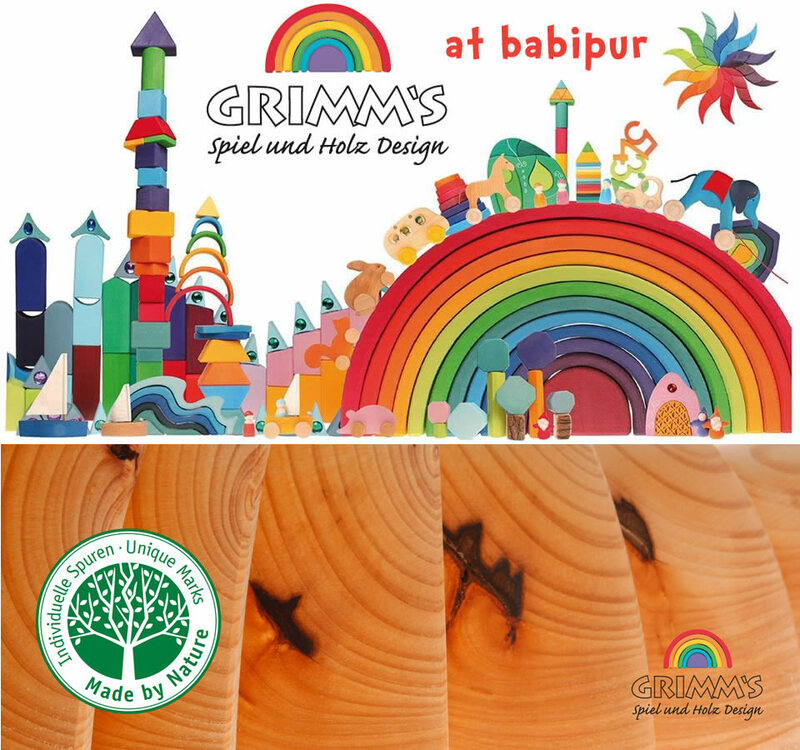 Please note that knots, patterns and rich grain colours are part of the natural beauty of the wood and are not faults. 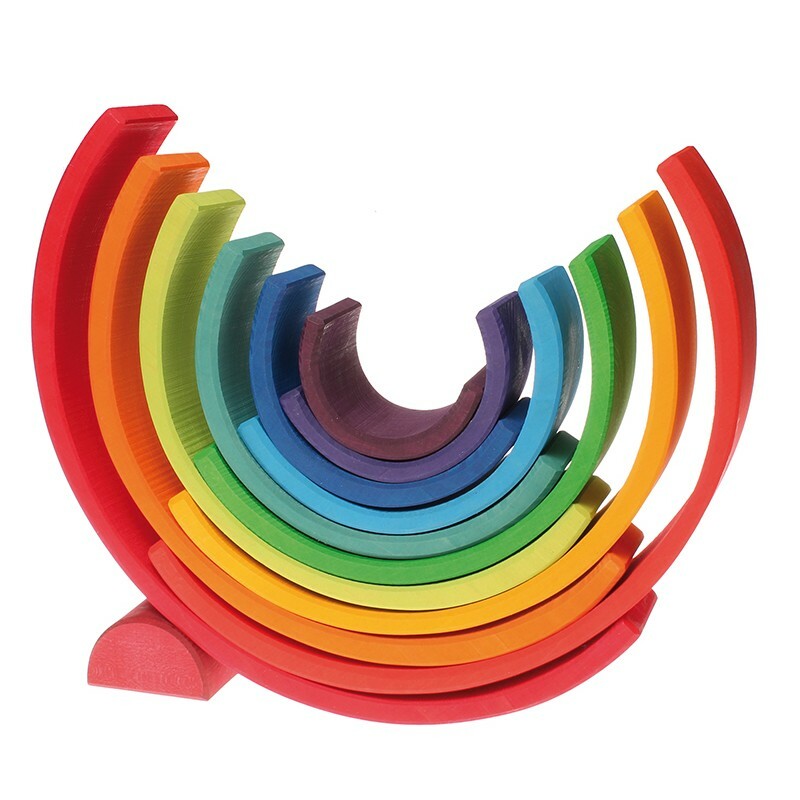 Each rainbow is cut from a single block of wood and you'll often see the same features continuing through the various rainbow pieces. 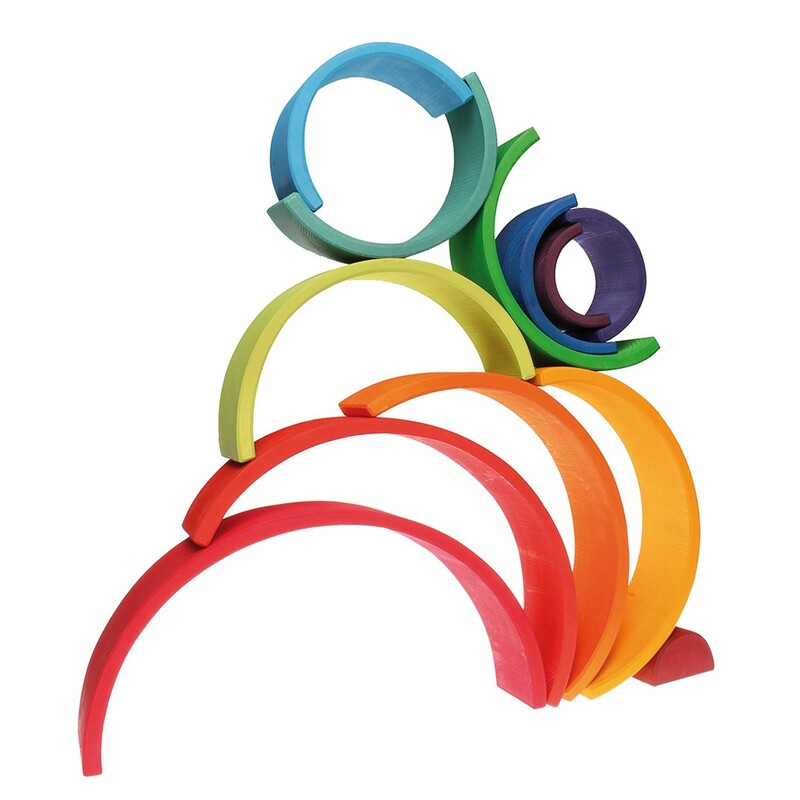 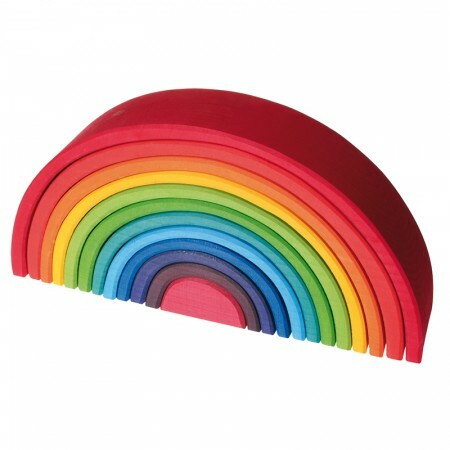 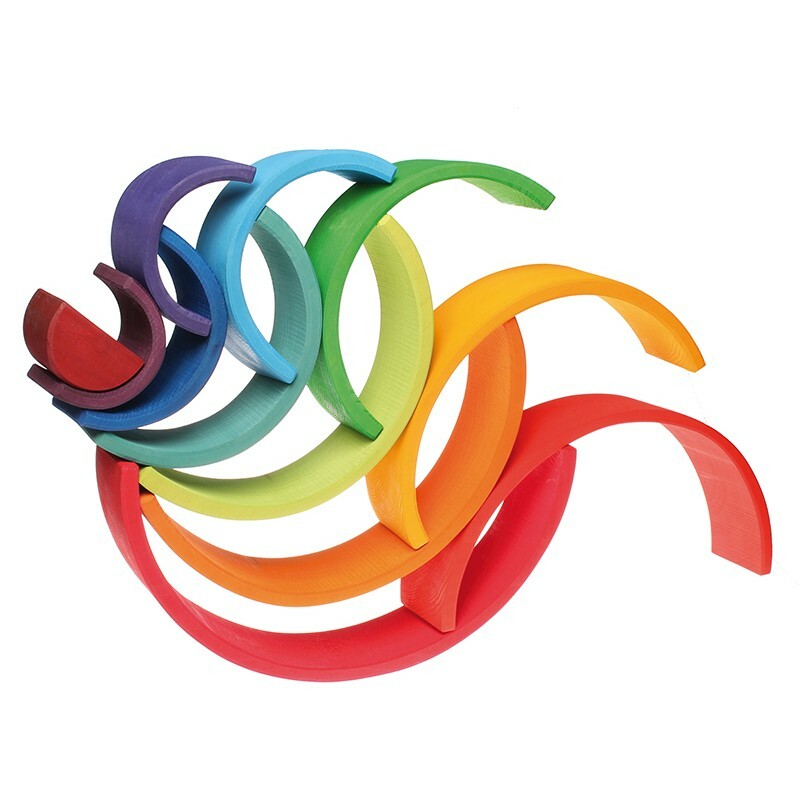 This rainbow set has been cut from a single piece of lime wood and naturally stained using non-toxic, water-based colour. 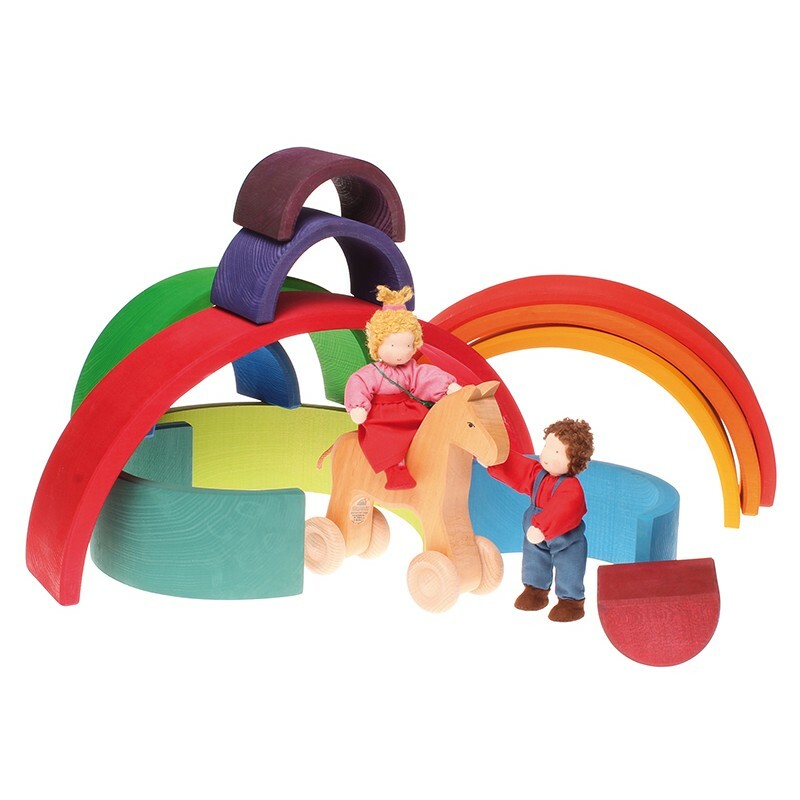 This natural finish allows the grain of the wood to shine through and ensures that these wave blocks are safe for little ones and perfect for natural play. 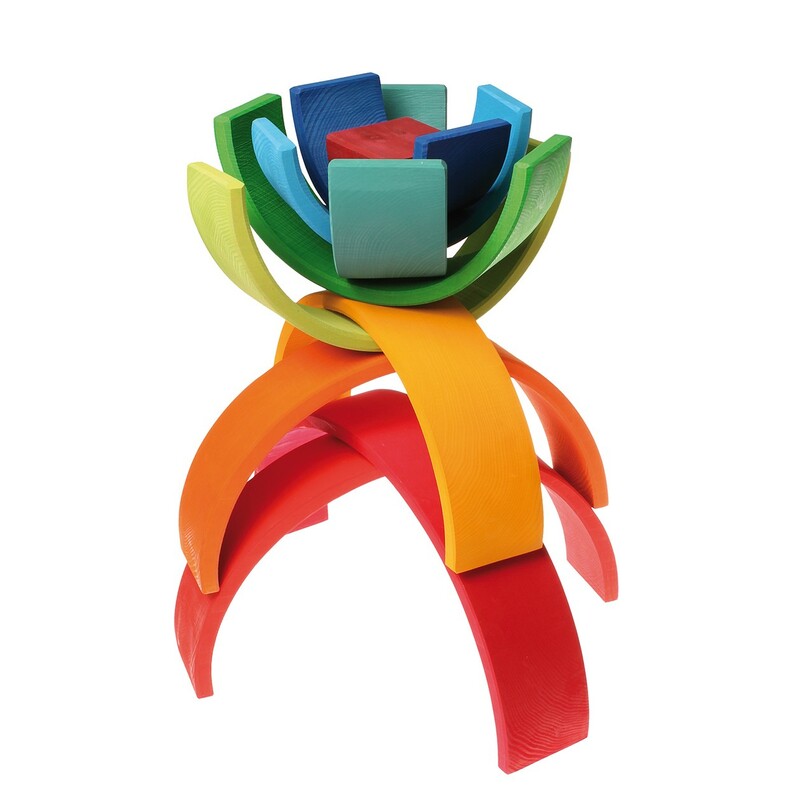 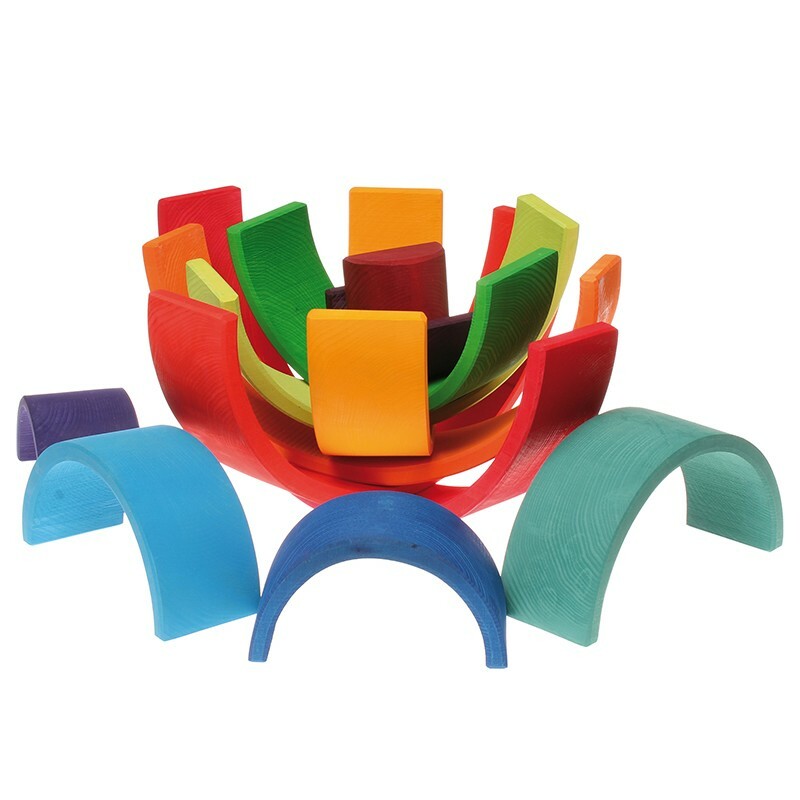 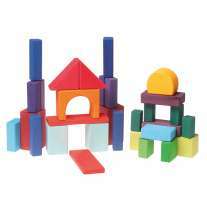 Children will enjoy stacking, sorting and building with this set for years to come and it will brighten up any mantelpiece or coffee table when it is eventually outgrown, before being enjoyed again by the next generation.